Amatino is a double entry accounting API, and Amatino Swift allows macOS & iOS developers to utilise Amatino in a Swift application. v0.0.5 is a major new Alpha release introducing the Ledger class, and some attendant smaller changes. 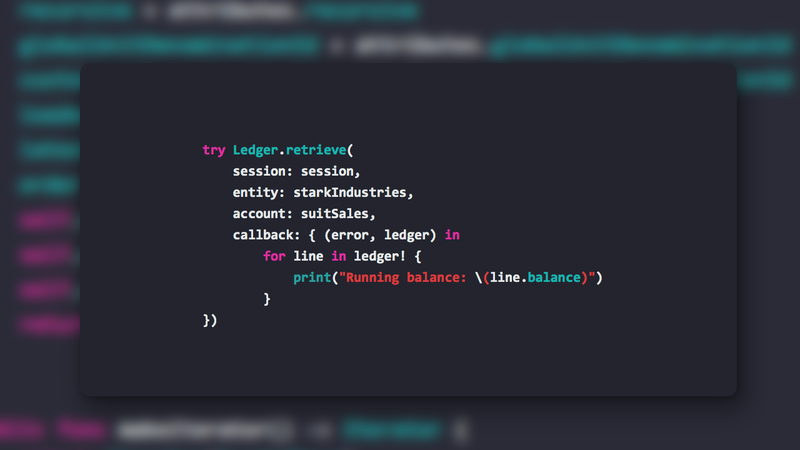 Multiple Ledger.retrieve() overloads are available, allowing you to tailor the Ledger to your needs. For example, you might want to retrieve a specific timeframe or denominate the ledger in a particular unit (e.g. a non-native currency). You can also reverse-order the Ledger such that the first pages retrieves the most recent transactions. RecursiveLedger syntax is identical to Ledger, but delivers every Transaction in the target Account and all of its children. Amatino Swift may be installed via Carthage. Add github "amatino-code/amatino-swift"to your Cartfile. Enjoy, and be sure to tell me what you think!